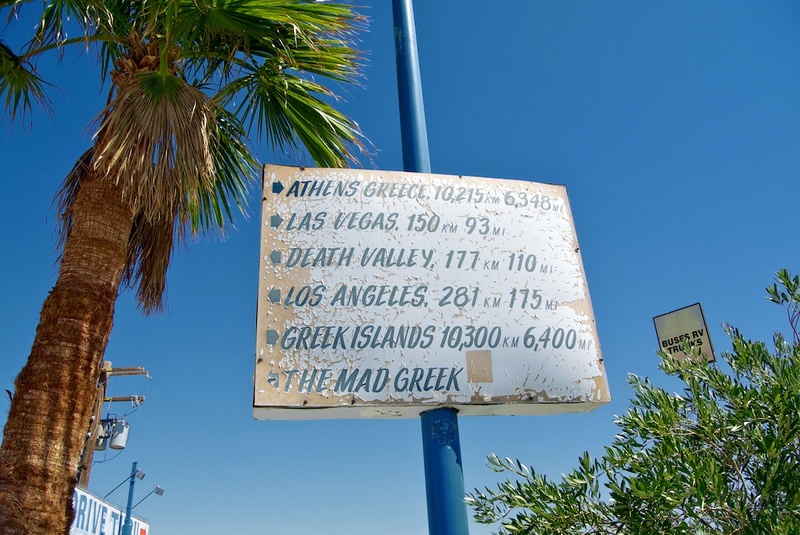 When driving through the desert to Vegas there are only two main places to stop in California, Barstow and Baker; and while I have always been afraid of Greek food in the middle of the desert I decided it was past time I gave it a try, enter the Mad Greek. 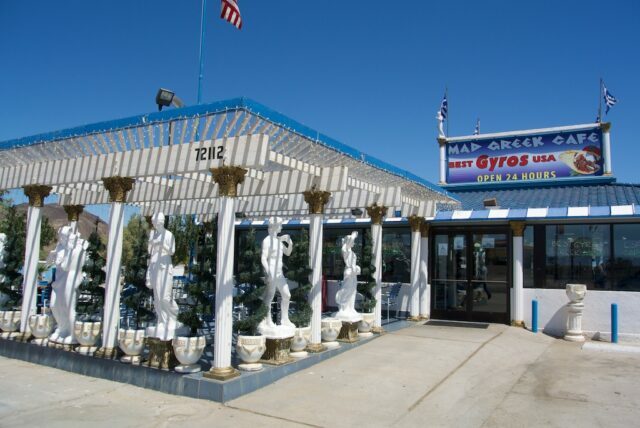 Located right in the middle of the mile road that makes up the main street of Baker, in between the statue of the man who discovered the South pole and Alien Jerky sits this restaurant, made even more popular by its feature on Diners, Drive Ins and Dives. The fist thing you will notice when visiting the Mad Greek is the awesome eclectic atmosphere. 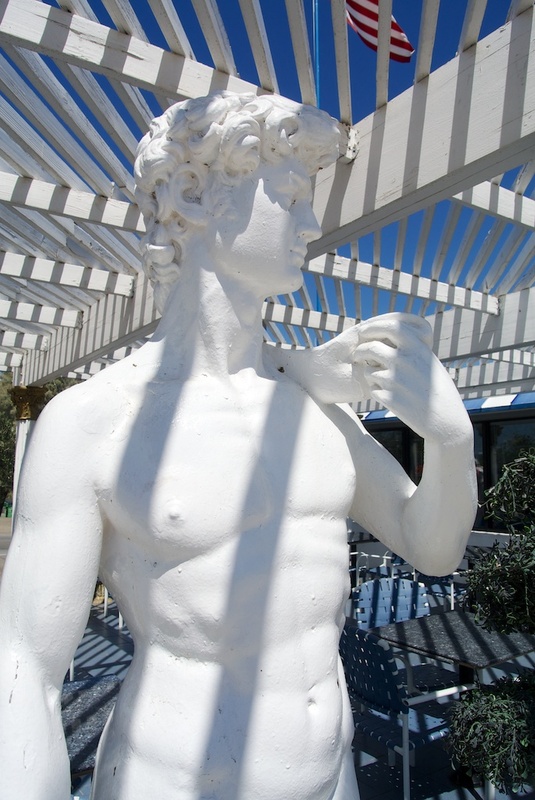 Before you even enter you will have seen at least 15 plaster statutes like those you would see in Athens beckoning you in. You will also see a list of how far Mad Greek is from all of the main places like Greece, or Las Vegas. After you enter you brain will still be assaulted with awesomeness in all directions as you enter the restaurant. 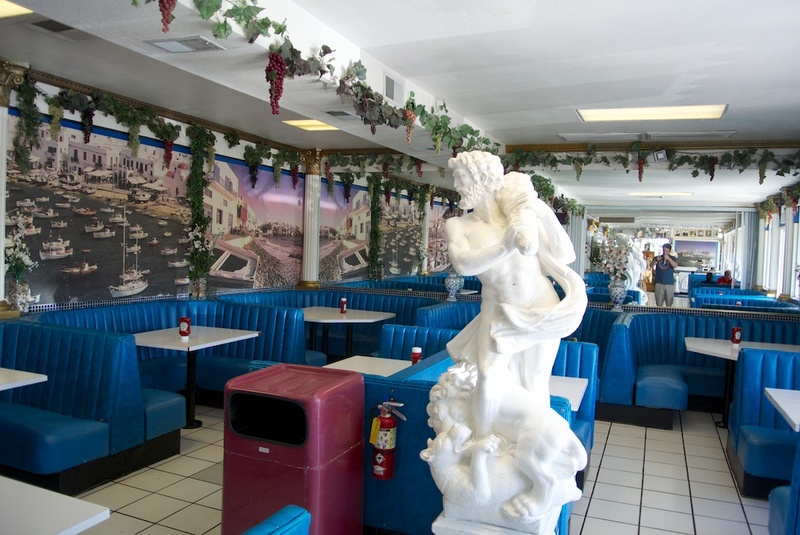 There are photos of Greece and statues dispersed between the booths. 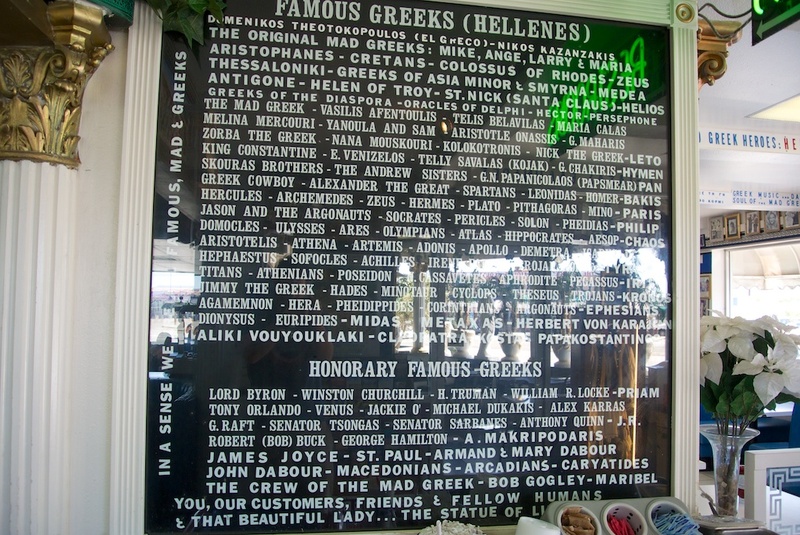 There is even a list of all the famous Greek people and some honorary ones that aren’t even Greek like Jackie O and Winston Churchill. 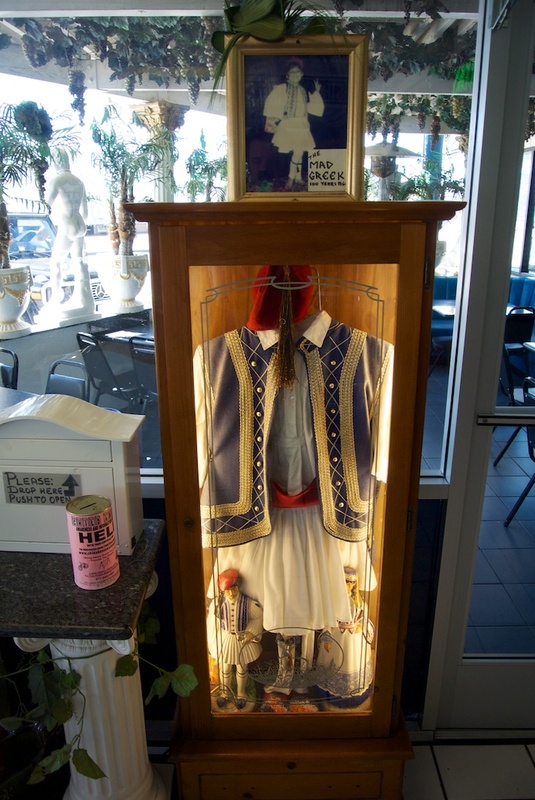 I was also interested in the outfit they have on display right when you enter. 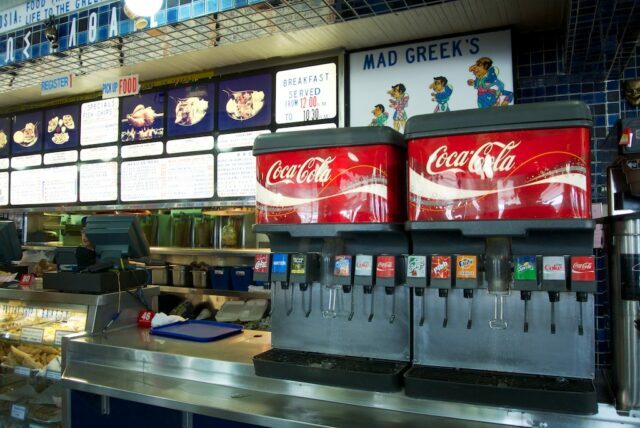 Since it was a Greek place I figured I had to go with Greek food over the hamburgers on the menu. 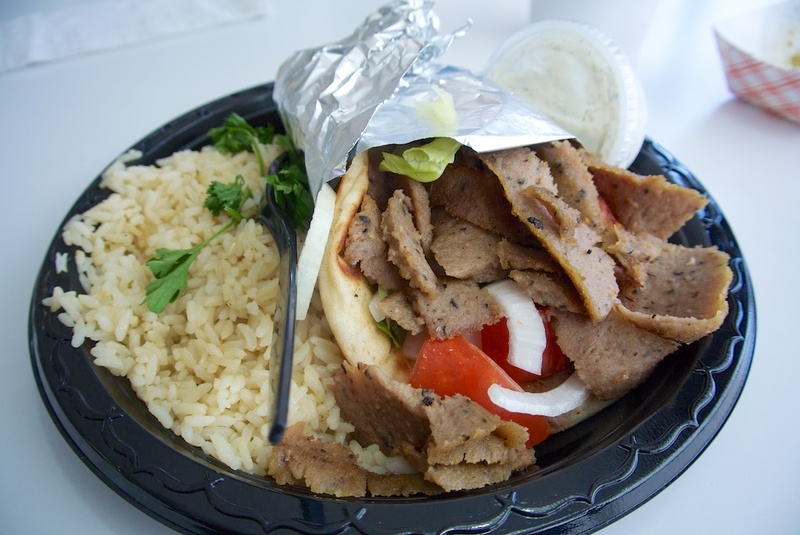 For 11 bucks I got the gyros sandwich with rice and a sliver of baklava. I have to say I was really impressed with the food here. The mint sauce was on point and the meat was flavorful and tender. 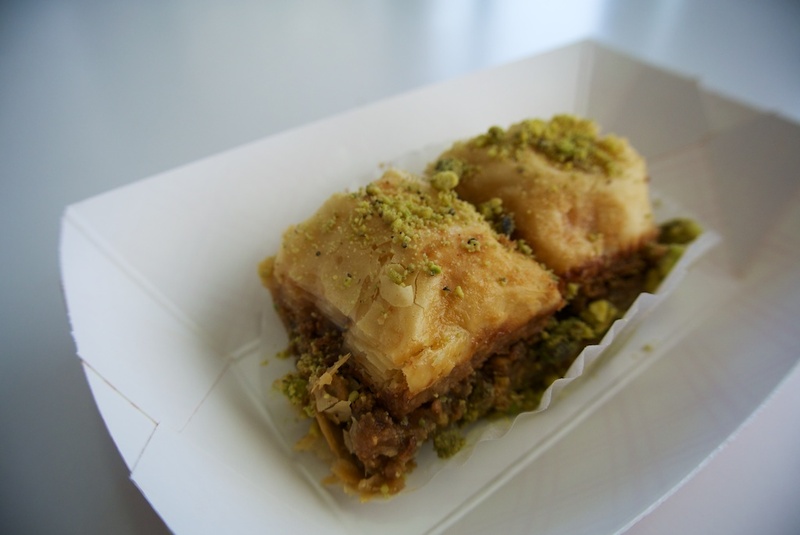 The baklava itself was also well made. I mean it is not baklava land but it was pretty darn good for the middle of the desert. All in all I am glad I stopped at the Mad Greek Cafe, it was a total assault of the senses in the best possible way. I mean when you are driving through the endless desert who doesn’t want to see a plaster David statue while enjoy a gyros? Yea, I figured that answer was no one. 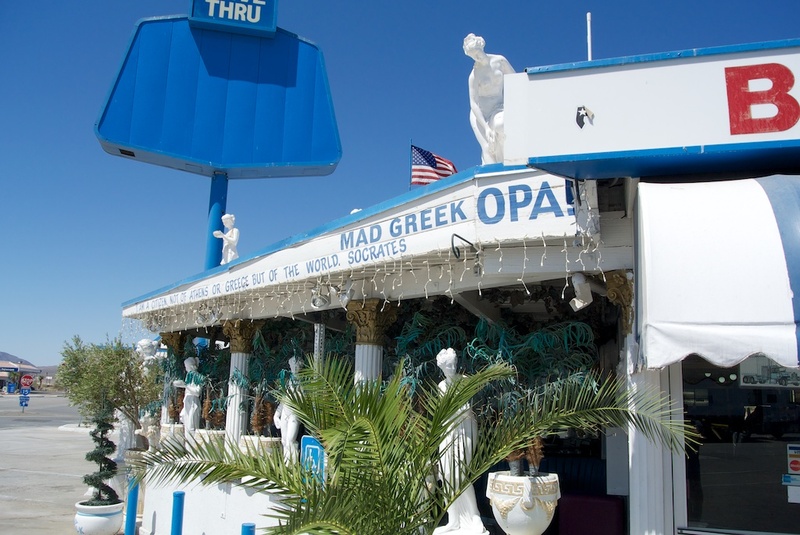 Make check out Mad Greek next time you take the drive out to Vegas.